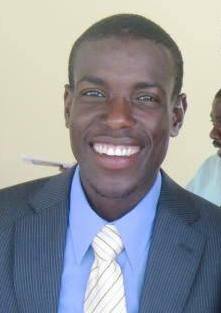 Wadner Pierre was studying Computer Science in 2004 when Haitian President Jean-Bertrand Aristide was overthrown in a coup d’état. Soon after, Pierre’s step-father, a Catholic priest who protested Aristide’s overthrow, was thrown in jail. At that point Pierre decided he could no longer continue his studies without taking a stake in Haiti’s future. He dropped out of school, bought a camera, and started taking pictures of Haiti’s destitute population, selling them to human rights agencies and foreign press outfits. One of the foreign correspondents that Pierre met while taking photos was Jeb Sprague, a reporter for the Inter Press Service news agency. Sprague, now a graduate student in sociology at UCSB, brought Pierre to Santa Barbara to speak this week at a presentation hosted by UC Haiti Initiative (UCHI), a system-wide effort to dedicate the University of California’s human resources to provide aid and relief to Haiti. The event also featured Thomas Oliver, a graduate student who co-founded a nonprofit called Intelligent Mobility International which produces and distributes affordable wheelchairs in Haiti. Due to amputations and spinal injuries, 80,000 people required wheelchairs after the earthquake last January. Other speakers included Kelsey Maloney, an undergraduate who volunteers for Un Techa Para Mi Pais, a nonprofit that helps build shelters in disaster areas, and Brett Williams of Goleta-based Direct Relief International. Headlining the event, however, was Pierre who won an award from Project Censored in 2007 for his grassroots journalism which can be read and viewed on the website HaitiAnalysis.com that he started with Sprague. Pierre currently lives in New Orleans where he is studying journalism at Loyola University on scholarship. Before that, he attended the Intensive English Institute at Sonoma State University. When asked if he is learning much in school, he smiled and said, “I already did my Master’s [degree] with my people.” It’s hard to imagine how much someone who cut his teeth taking photographs in Cité Soleil, the largest slum in Port-au-Prince, could learn from a journalism class. But Pierre thinks the credential will be useful. He began his presentation by saying, “Healthcare is not a privilege; it is a human right.” However, healthcare was clearly a tertiary concern for him. For Pierre, Haiti’s non-existent healthcare infrastructure is an illustration of the US government’s undermining of the Aristide government. The US blocked four loans from Inter-American Development bank to Haiti for health, education, drinking water, and road improvement after disputed elections in 2000. Many Haitian (and non-Haitians) including Pierre also believe that the US, Canada, and France were at worst instrumental and at best unresponsive to the rebellion in 2004. “Social justice was about to become a reality,” said Pierre, lauding the Fanmi Lavalas political party which invested heavily in public projects. Mortality and illiteracy rates were both on the decline when Aristide was ousted. Lavalas is being excluded from this month’s upcoming elections. Pierre called on the students in his audience to contact their government officials and ask them to help insure “free, fair and democratic elections in Haiti.” The loudest advocate for Lavalas in the US has been Representative Maxine Waters of Los Angeles. Pierre has returned to Haiti four times since beginning his studies in the United States, including a nearly month-long stay this summer. He said he has met lots of highly-placed officials such as ambassadors and even Aristide, but he feels it is more important to meet with less prestigious people like the students attending the UCHI event. “These people listen,” he said.